Hey guys, just a bit of news for you. Head over to the Yog-Blogsoth store to pick one up! So Illustro Obscurum Volume VI went on sale and sold out within 2 hours on Friday! I'm thinking about doing a reprint of Volumes V & VI in the near future so comment if you're interested so I can gauge how many I should get made. Also there was a bit of a delay with the interior pages of Volume VI, so if you purchased it Friday it'll be a few days later than usual. Normally when I have them up for sale on Friday, I ship them out on Monday but this batch won't go out until Thursday. 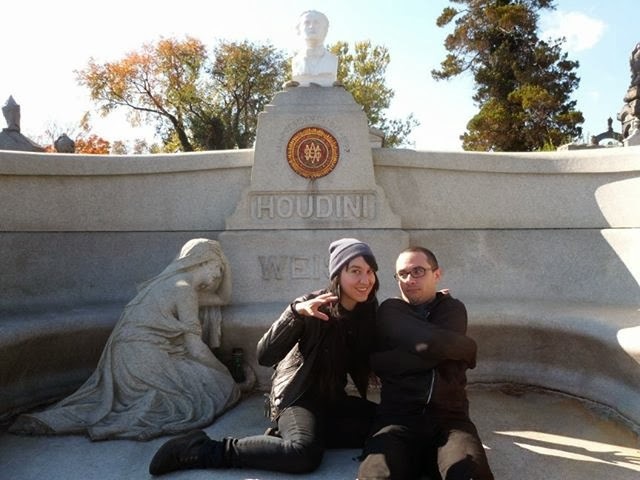 Finally, I spent the weekend in NYC doing some Halloween stuff and checked out a site that I think should be of interest to most HPL fans...Harry Houdini's grave! It's in an "abandoned" cemetery in Queens but it abuts 3 other cemeteries that are still in use, so if you can get into one you can easily walk into the others. Lovecraft famously ghost wrote Under the Pyramids for Houdini and I've been wanting to check out his grave for a while. Totally worth the trip! The next few days will be cool news items before I post Illustro Obscurum Volume VI for sale on Friday October 25th at 11am EST. 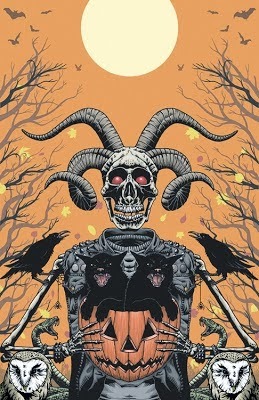 I also wanted to announce that the same day at the same time I'll be putting prints of a Halloween piece for sale. Lastly, November 15th is the opening for a group show I'm organizing called Children Of Yuletide. I'm really, really excited for this theme and lineup. Look at the artist list below, it's awesome! The theme is Pagan and Non-Abrahamic winter festivals throughout the world. 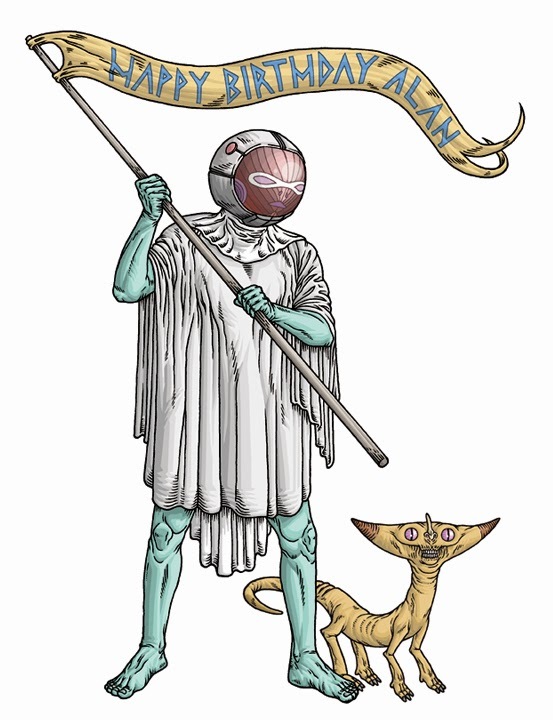 There are 22 artists including: Alan Brown, Christopher Burdett, Mike Bukowski, Jeanne D'Angelo, Keely Dolan, Heather Gargon, Eden Grace, Justin Gray, Kat Gun, Sam Heimer, Trevor Henderson, Jeremy Hush, Alina Josan, Erin McCown, Brynn Metheney, Alicia Neal, Paul Romano, Kristin Scholz, Dylan Garrett Smith, Ketch Wehr & Jenn Woodall. 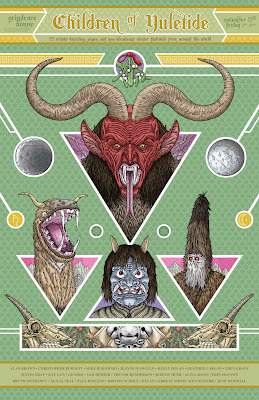 I did the poster above and it features a Krampus, Schnappviecher, Namahage and Babugeri which are all creatures from different countries' winter festivals, and the rest of the pieces in the show will have similar topics. For those of you that follow this blog, Alan's name may be familiar to you. Not only has he contributed to the Empty Night Skies benefit show that Jeanne D'Angelo and I curated, he's currently working on a piece for the Children Of Yuletide show I'm curating. Most likely though, you'll recognize him from the Guests In the Witch-House piece he did of Randolph Carter in Dreams Quest Of Unknown Kadath. Anyway, he's one of the most tireless and talented people I know and he's a huge inspiration to me. 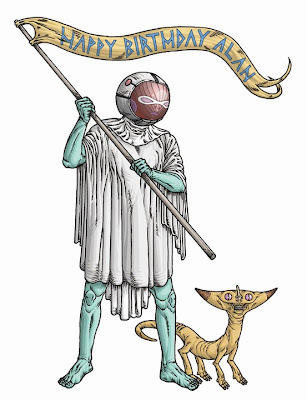 This piece is based off a character and creature from his epic wordless OVOYYAMAR comic which you should check out. 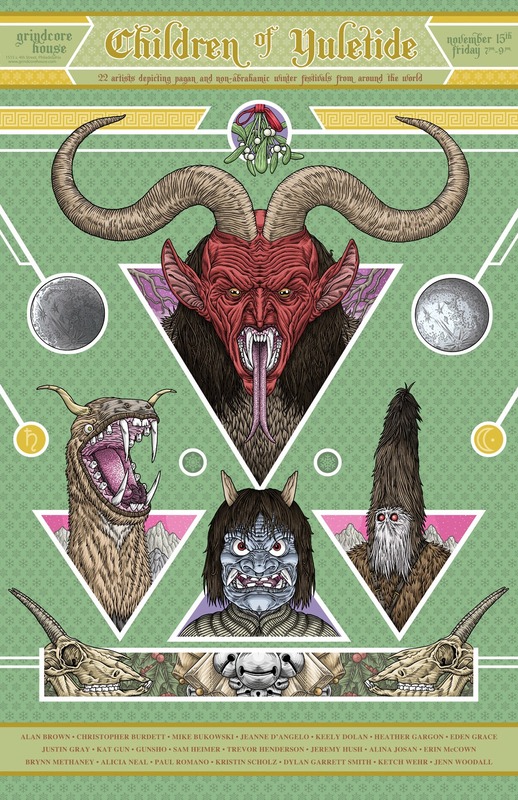 You can also buy prints from him here and support an amazingly talented dude! "For the cat is cryptic, and close to strange things which men cannot see. He is the soul of antique Aegyptus, and bearer of tales from forgotten cities in Meroe and Ophir. He is the kin of the jungle’s lords, and heir to the secrets of hoary and sinister Africa. The Sphinx is his cousin, and he speaks her language; but he is more ancient than the Sphinx, and remembers that which she hath forgotten." The helmeted Valkyries close to me. With Woden's mounted messengers so near!" "These is a myth of Odin’s acquiring runes by hanging on a tree and wounded by a spear, an offering to himself. He bows his head and looks down, perhaps into the deep, and takes up the runes, falling now from the tree to the ground. How he took up runes while hanging is not clear: perhaps a magical act is intended." "In other Eddic attributes of Odin there is a further resemblance-his skill in arts, his mastery in magic, his description as a traveller. Like Mercury he was a god or leader of the dead. Both gods were depicted with hat and staff." 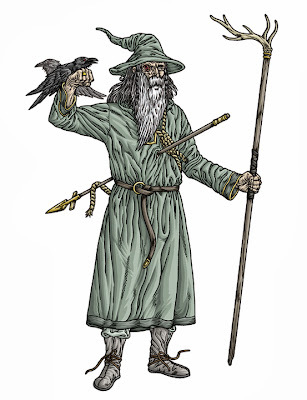 "Here Odin rides, wearing a broad-brimmed hat, he appeared as an old man, one-eyed, of sombre aspect, wearing a broad-brimmed hat, and wise of speech." "Odin’s ring, Draupnir, “Dropper,” made by the dwarf Sindri and given by his brother to Odin, was so called because eight rings of the same weight dropped from it every ninth night." "The Scandinavian god Odin had human victims regularly offered to him, and these were put to death by being hung on a tree and stabbed with a spear. One of his titles was "God of the Hanged," or "Lord of the Gallows," and the Hamaval tells how when young, he was sacrificed to himself in the same way." from what roots it rises to heaven." And Gods and men fall dead beneath the sword;"
"In the Eddic poems he is “whitest of the gods,” and, like the Vanir, he knows the future. 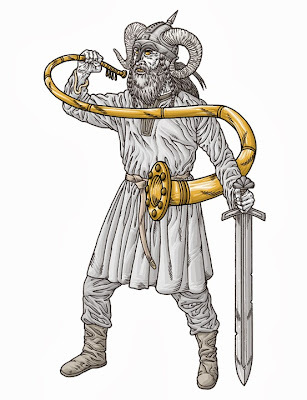 Heimdall is “the man mighty in arms,” and, as watchman of the gods, he has a horn, the Gjallar-horn, which meanwhile rests under the ash Yggdrasil." trumpet blown by the angel at the Last Day." "Of all the gods, Heimdall has the closest connection with an animal, namey, the ram. According to Skáldskaparmál, a form of his name, Heimdali, is a word for ram, and Heimdali and Hallinskídi turn up in the thurlur for ram." When only warriors can with Woden feast? Are but for him who falls in martial deed"
"Valhalla is the great hall of Odin, wherein he feasts with his chosen heroes, all those who have fallen bravely in battle, for all who die a peaceful death are excluded. 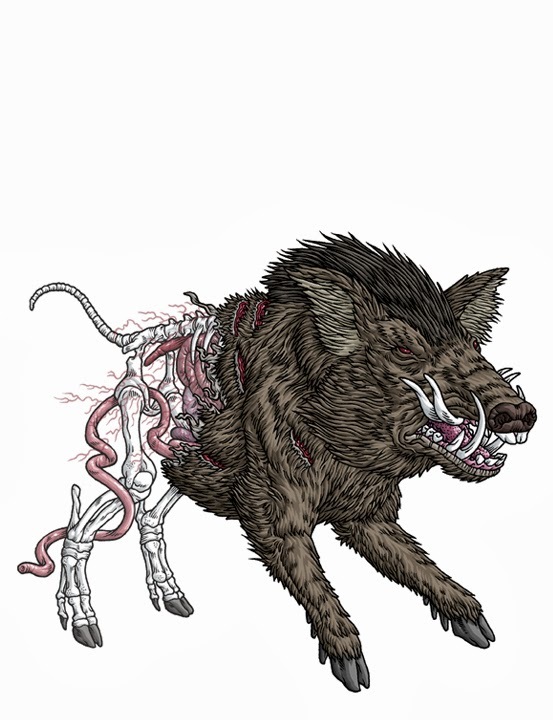 The flesh of the boar Schrimnir is served up to them, and is abundant for all. For although this boar is cooked every morning, he becomes whole again every night." "With our swords have we contended! We have gaine'd from Thor"
We too are the stout sons of Woden and Thor;"
And with spirit as light, ev'ry fiend overwhelm!" And stars descend, and naught but Chaos stand. "The wolf Fenrir, whos jaws stretch from heaven to earth, breaks his fetters' the Midgard Snake, spewing poison, rises from the sea; Naglfar, the Ship of the Dead, made of the uncut nails of dead men, breaks from her moorings down in Hel." the giants will sail towards the battlefield." "Jormungand is not the only serpent in Norse mythology but he is much the most fearsome. He is so vast that he actually encircles Midgard; all humankind is caught within his coil as he lies on the ocean bed, biting on his own tail." "Giant particularly associated with Ragnarok." 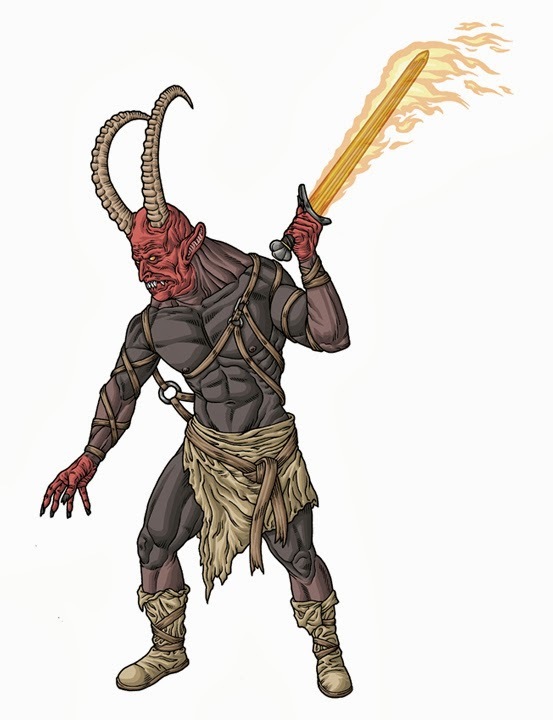 "After the individual gods have fallen, Surt casts fire over the earth and burns the entire world. The name Surt is used in poetry as a general name for a giant. It meant something like "black," as if he were charred"
"The fire giants, led by Surt, come riding out of Muspell, and as they approach Asgard the rainbow bridge Bifrost cracks under their weight." and Earth sinks into the sea." 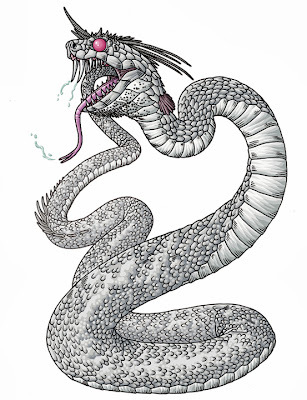 "That one is called Surt, who sits there at the end of the world as a guardian. He has a burning sword, and at the end of the world he will travel and harry and defeat all the gods and burn the entire world with fire."